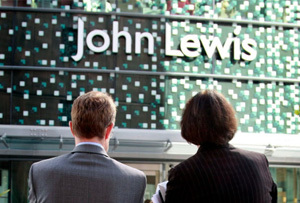 Is John Lewis fleecing its suppliers? Britain's 'model business' has been found to be 'abusing' its supply chain by demanding rebates from those enjoying bumper sales through its stores, according to a letter seen by the Daily Telegraph. It has been praised as a model British business thanks to great financial figures and large bonuses for staff, not to mention the employee-ownership model looking friendlier than ever. But its sheen has been taken off today, after a letter to suppliers seen by the Telegraph, suggesting that some of them now have to pay a rebate of 5.25% on their annual sales in order to keep the contract. It is true that the firm is doing better. Last week, it announced pre-tax profits up 16% to £410m, and also its biggest-ever bonus for staff, which topped £200m for the first time. According to the letter, the ‘growth rebate’ initiative took effect at the start of February – a time when it was becoming clear how well John Lewis had done over the Christmas period. That other major retailers have been operating a similar model to this for years will be little consolation for the army of well-heeled customers for whom John Lewis' ethical stance has made it a popular choice. The firm has benefited hugely from its ‘friendly, local-supplier-using, employee-valuing, non-exploiting’ image in recent years, and this risks making it look like more of a high street ‘baddie’ than many of those customers originally thought.